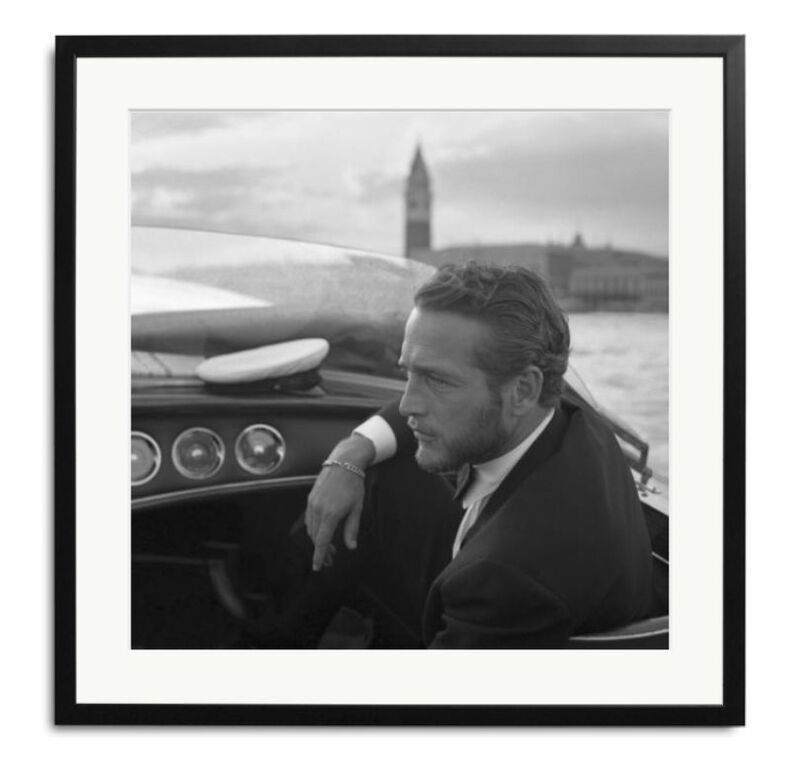 Paul Newman in Venice captured in stylish black and white in 1963. 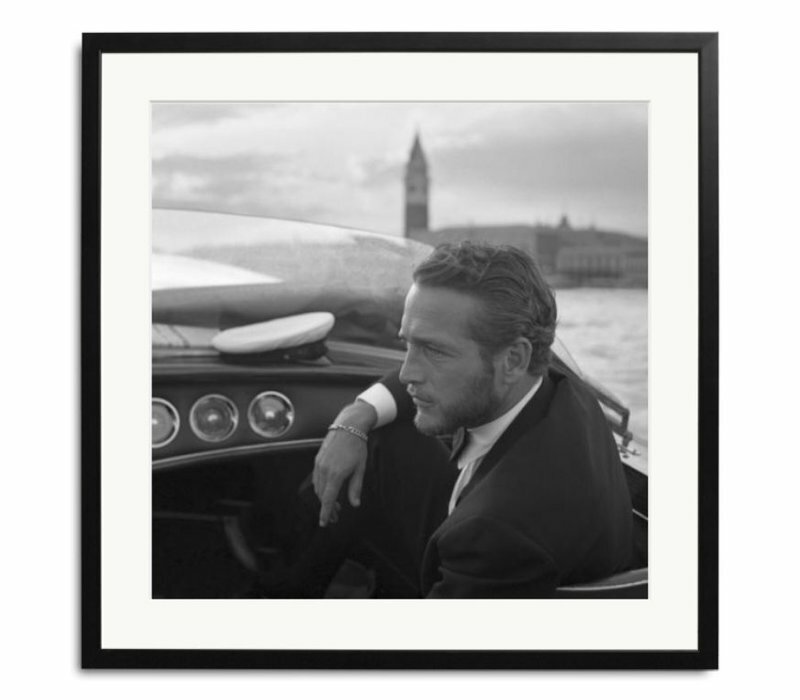 Black and white picture of iconic movie star Paul Newman, captured when driving a Italian speedboat near San Marco square in Venice Italy. This photograph was taken in 1963. Limited edition of 495 pieces. This classic, inconic black and white photograph is professionally printed on Fuji Crystal Archive Professional 250gr matt paper with a lifespan of over 80 years, and delicately framed in a sleek black wooden frame. Each framed picture is checked for maximum print quality. Styling tip: Hang a male idol beside a female icon above the bed. A stylish expression of everyone's personality and an inspiration when getting up in the morning! Iconic black and white pictures give your interior a stylish and international look and feel.